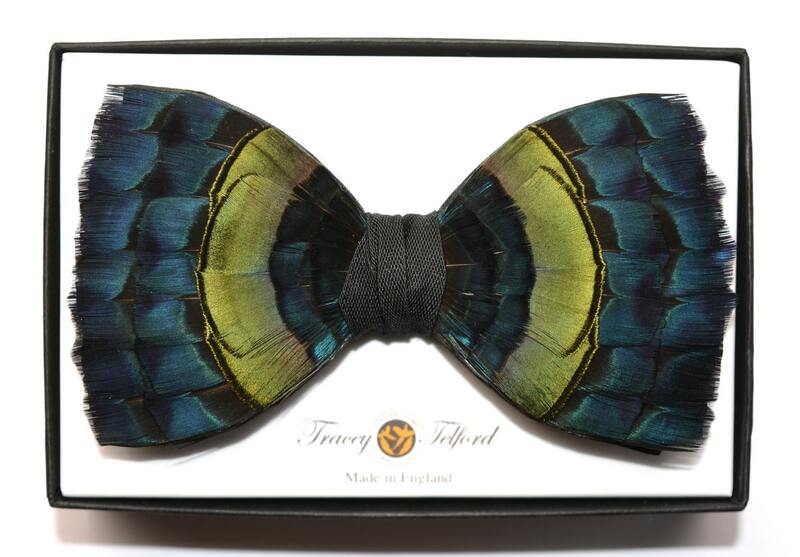 BALMORAL BLUE TWO Pheasant Feather Bow Tie. Known as the holiday home of royalty, Balmoral is the idyllic privately owned British royal residence in Scotland. Separate from the Crown Estate, and with the stunning natural scenery as it’s backdrop, it’s considered the perfect combination of regal yet personal. 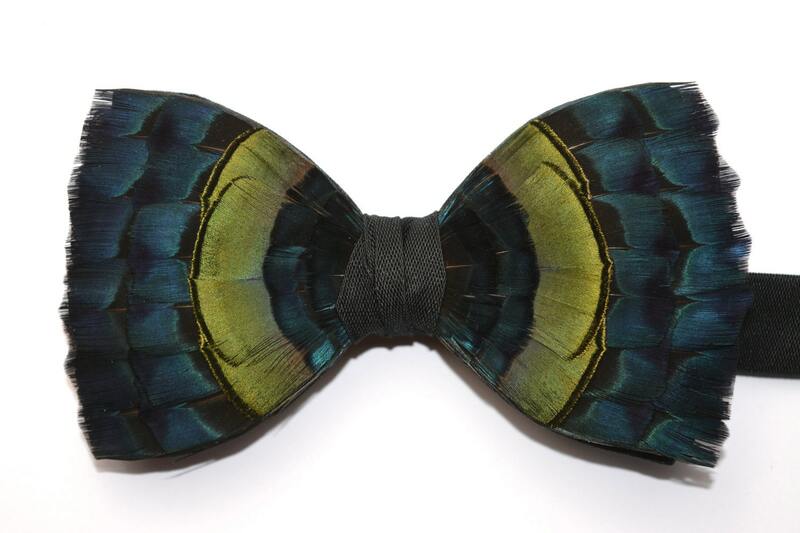 With its individually hand placed iridescent blue and green genuine pheasant feathers, the Balmoral Blue bow tie reflects the uniqueness of Balmoral and it’s awe inspiring landscape. Designed exclusively by Plumassier artist Tracey Telford, and representing trust, loyalty, ambition and energy, it strikes the perfect balance of design to raise the bar on any outfit. Being individually hand made, you can personally select the pheasant feathers’ colour balance, to align with your preferred design aesthetic. You can elect to have more greens than blues as a blended combination, for example, or select solely blue or solely green feathers as part of a more bespoke design. This Balmoral Blue is set on a 100% silk black double bow tie base. It can, however, also be made available on a quality satin, and a range of others base colours can also be selected. The navy blue silk base, for example, is also a particularly striking combination. This bow tie design is a perfect intentional match for the wider Balmoral range and complementing designs of feather pockets, lapel pins, wrist corsages, hair clips, bridal bouquets, and fascinators are also available, making perfect design matches for group events, bridal parties and collectors alike.